Click on an event to learn more about it. General Meeting: Voter Registration 2.0: New technology, new laws! Featured Speaker: Julie Anderson, Pierce County Auditor. 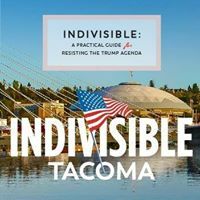 Indivisible Tacoma defends liberty, equality, and democracy through local grassroots activism. 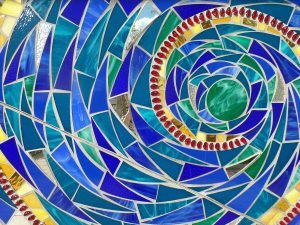 6:45 pm - 9:00 pm SpiritUUality Cafe- "Why Some People Are More Altruistic Than Others"
Why do some people do selfless things, helping others even at risk to their own well-being, such as in emergency situations on I-5 or donating a kidney to a complete stranger? At the other extreme, why are psychopaths the way they are? Are their brains just different? Two fascinating works by Abigail Marsh, a Professor of Psychology at Georgetown University, are presented by her mother, Tahoma UU member, Margot Marsh. Besides a TED Talk, Margot dives into her daughter’s groundbreaking book, The Fear Factor: How One Emotion Connects Altruists, Psychopaths, and Everyone In-Between.